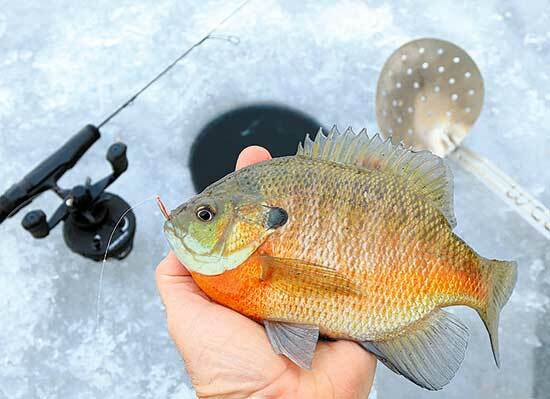 The annual Lake Meyer Ice Fishing Derby scheduled for Saturday, Feb. 9, has been postponed until Saturday, Feb. 16, due to poor ice and water conditions. Registration begins at 7 a.m. and fishing runs from 7:30–11:30 a.m. Registration costs $5 for adults (16 years and older) and is free for all children (15 and younger). All ages are welcome. Prizes will be awarded for first and second bass, bluegill, crappie, northern pike and perch. All participants will be eligible for one of many door prizes. Award ceremonies and prize drawings will be held following the close of fishing. Contestants will need to provide their own bucket, auger and fishing equipment. A limited supply of equipment will be available for use by children. All participants 16 and older must have a valid 2019 Iowa fishing license. No ATVs or cars will be permitted on the ice during the derby. Catch and release of bass and northern pike is encouraged. Bass must be over 15 inches to be eligible for prizes. In case of poor ice conditions or bad weather, tune to KDEC 100.5 or KVIK 104.7 for cancellation information. Lake Meyer Park is located at 2546 Lake Meyer Road, just off Highway 24 between Calmar and Fort Atkinson. All proceeds from the derby will go toward lake and park improvements. For more information and further details, visit Winneshiek County Conservation at winneshiekwild.com or call 563-534-7145.